October 1 - St. Thérèse of Lisieux - Memorial - My Catholic Life! Thérèse Martin was a weepy child of brittle emotions. She was easily offended and easily pleased. A furled brow or a sideways glance from her father would make her dissolve in tears. A beautiful flower or a kind word and she would beam a smile. She grew up in a brotherless home. Her father, an uncle, and priests were the men in her life. Her parents were canonized in 2015, the only married couple ever raised to the altars. Thérèse and her four sisters all became nuns, with the cause for beatification and canonization of her sister Léonie being opened in 2015. The Martin home was totally absorbed in the mysteries of God, prayer, saints, the Sacraments, and the Church. Thérèse grew up in Normandy, a region of northern France. She left only once, to go on a month long pilgrimage to Italy, where she met Pope Leo XIII at a public audience and begged his special permission to enter the Carmelites before the required age. On this trip she was also the object of some tender male glances. Conscious of her delicate emotions and the possibility of falling in love, upon returning from Italy Thérèse pulled every lever to enter her local Carmel. She finally did, at the age of fifteen, in 1888. She was given the religious name “of the Child Jesus” and received permission to adopt a second name too, “of the Holy Face.” Once the door of the convent shut behind her, it never reopened. Her short life ended there just a few years later. Thérèse was a dedicated nun who strictly followed the demanding Carmelite rule. She kept silence when required, avoided seeking out her blood sisters, fasted, ingratiated herself with nuns she did not naturally find sympathetic, and spent long hours in prayer and work. When Thérèse’s sister Céline entered the convent in 1894 she was given permission to bring her camera. Céline’s pictures of Thérèse would be among the first ever taken of a saint. 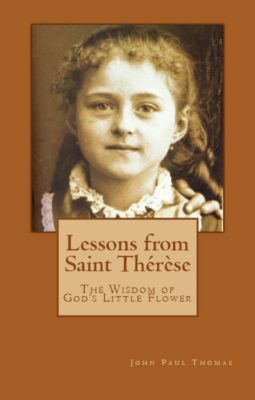 They complimented Thérèse’s letters and spiritual writings perfectly, heightening interest in Thérèse after she died. The intriguing photos and profound writings hinted at how the four walls of a convent often conceal secret depths. Saint Thérèse suffered intensely from tuberculosis before dying when many lives are just beginning. She was canonized in 1925, declared co-patron of France in 1944, and named the thirty-third Doctor of the Church by Pope Saint John Paul II in 1997, the youngest Doctor to date and probably the youngest the Church will ever recognize. 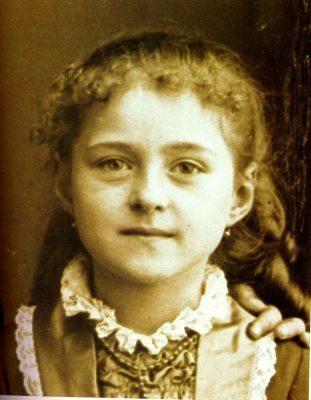 Saint Thérèse of the Child Jesus of the Holy Face, you discovered deep truths in a confined space. Your soul was fertile ground for the mysteries of our faith. Lend heavenly assistance to all who try to emulate your example of suffering, prayer, and tender dedication to God.